For Brazilians, computers belong in the past. 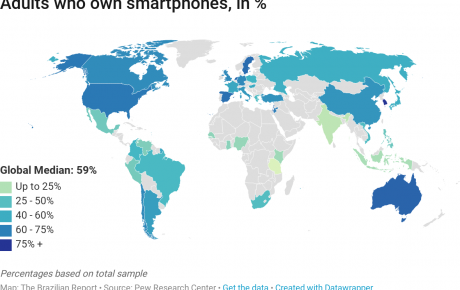 For the first time ever, smartphones have become the preferred device to access the internet in Latin America’s biggest country. 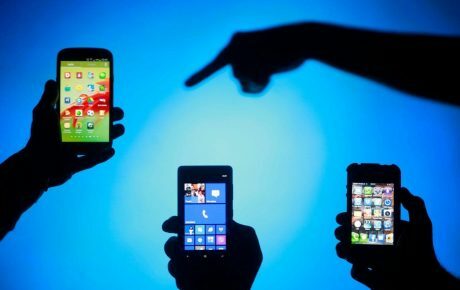 Almost half of all internet users (49 percent, to be exact) only access the web on their phones, according to a recent survey by the Regional Center for Studies to the Development of the Information Society (CETIC.br). That more and more Brazilians are going online is not exactly news. 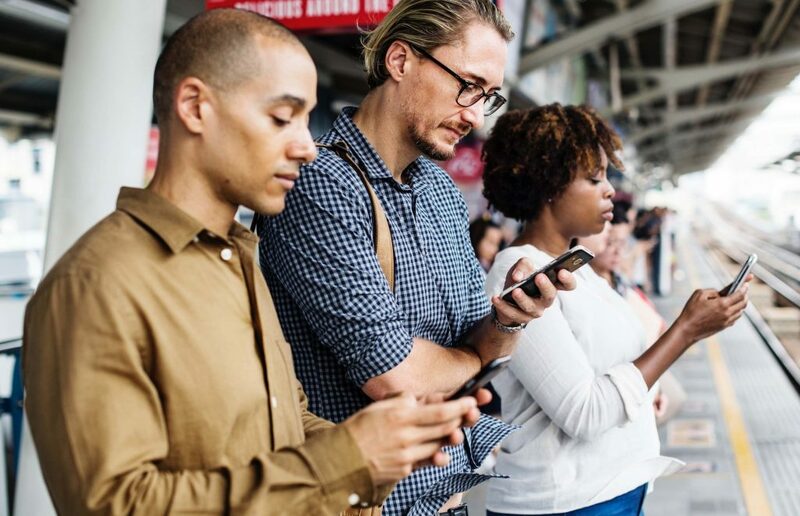 We at The Brazilian Report published another survey showing that 84 million people in Brazil are connected to smartphones. 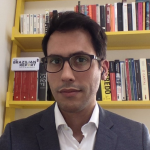 But CETIC.br’s study breaks down the behavior of each individual group, according to their region, economic status, and the urbanization level of their place of residence. 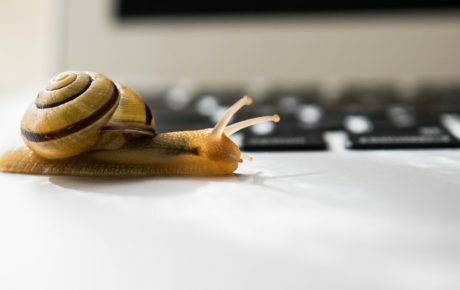 The survey reveals a change to internet usage habits. Messaging apps such as WhatsApp and Facebook Messenger are growing more and more popular, as well as video chat services. 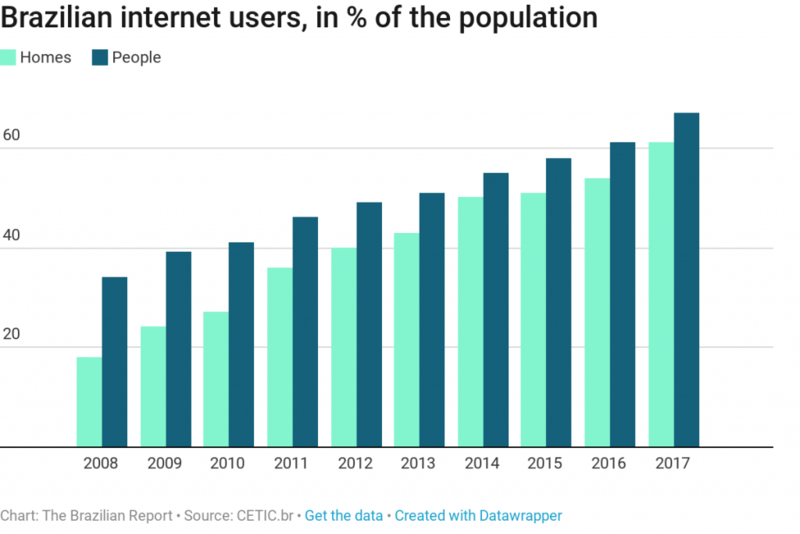 Meanwhile, however, social media consumption has shown a slight decrease – as has email usage and participation in online forums. 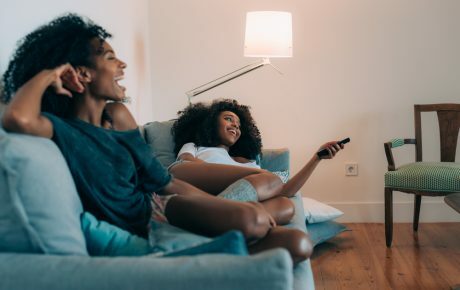 Between 2012 and 2017, the rate of people for whom videos were the preferred form of content jumped from 49 to 71 percent. According to Amazon’s Alexa rankings, four of the fifteen most accessed pages are video-based: YouTube (3rd), Globo.com (5th), Netflix (14th), and pornographic portal XVideos (15th). The 2017 YouTube Insights report shows that Brazil has 98 million users of the video sharing platform. While streaming services are on the rise, content to be downloaded is losing popularity. The rate of Brazilians who download music dropped by 4 percentage points, to 42 percent, with the same trend happening for video content, now downloaded by 23 percent of internet users. The rate of young “downloaders” is three times as high as among users of 60 or above. 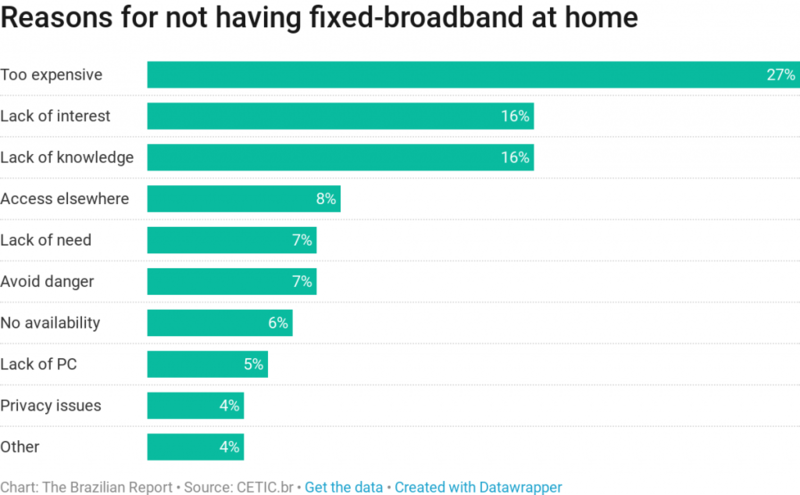 According to CETIC.br, roughly 27 million domiciles have no internet connection whatsoever. 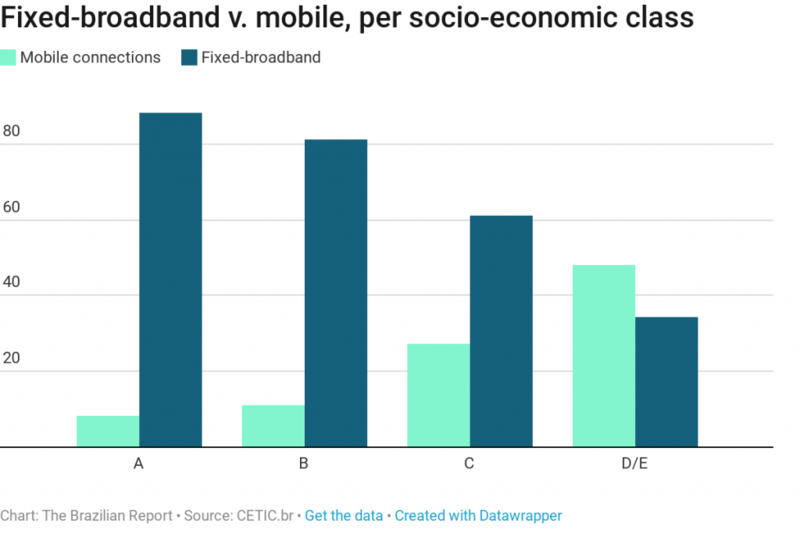 That lack of penetration for fixed-broadband services is connected to the high prices for internet services in Brazil. 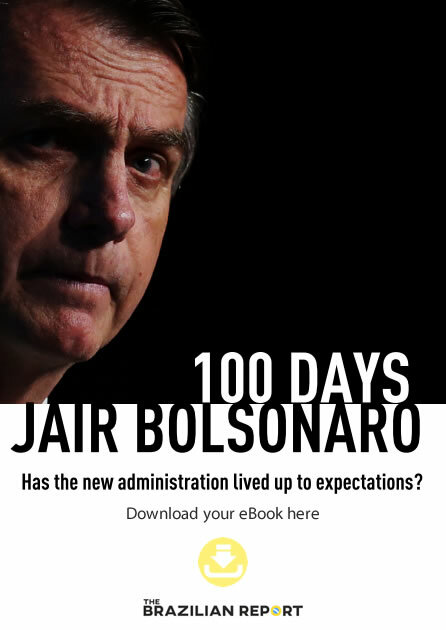 Among poorer Brazilians, the rate of unconnected households reaches 70 percent, while 99 percent of Brazil’s top economic layer is online. 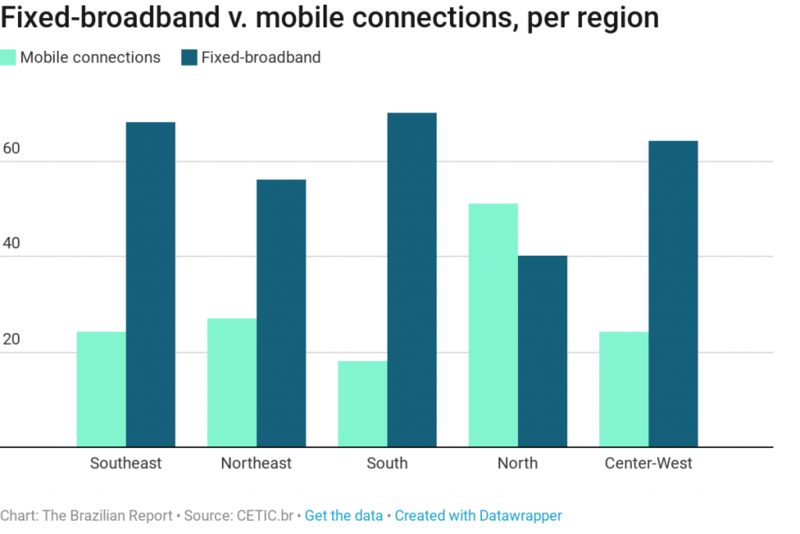 In the North and Northeast regions, there is also another major issue: the lack of infrastructure. 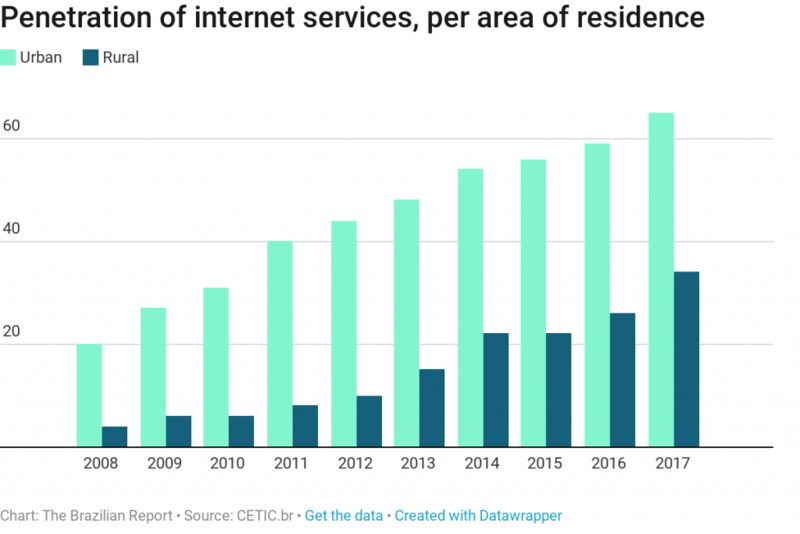 To access the problem, the government recently launched the “Internet for All” program, which plans to take broadband connections to all Brazilian municipalities. The program stalled due to a judicial battle surrounding the role of an American company in the administration of a satellite. The Strategic Communications and Defense Geostationary Satellite (SGDC) was launched in May 2017, in partnership with U.S. company Viasat. However, Viasat’s Brazilian counterparts have filed suit, claiming that a foreign company is not allowed to be involved in a defense project. That would be a threat to national sovereignty, as the satellite is also operated by the Army. Only this month did the Supreme Court green-light the project.